The Elver Sunray is an extremely simple yet effective fly that fishes well from spring through summer on those bright clear sunny days. It is very effective when cast square across the stream and stripped back or allowed to swing in the water, briskly crossing the current towards your own bank, high or even skate it temptingly across a pool. When the Salmon are lying deeper use a 15 foot slow sinking tip. 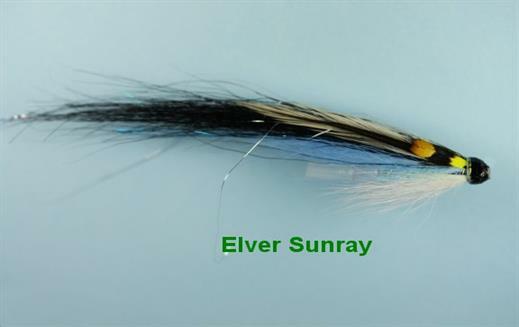 Currently there are no comments about the Elver Sunray fly pattern from other fly fishermen yet.